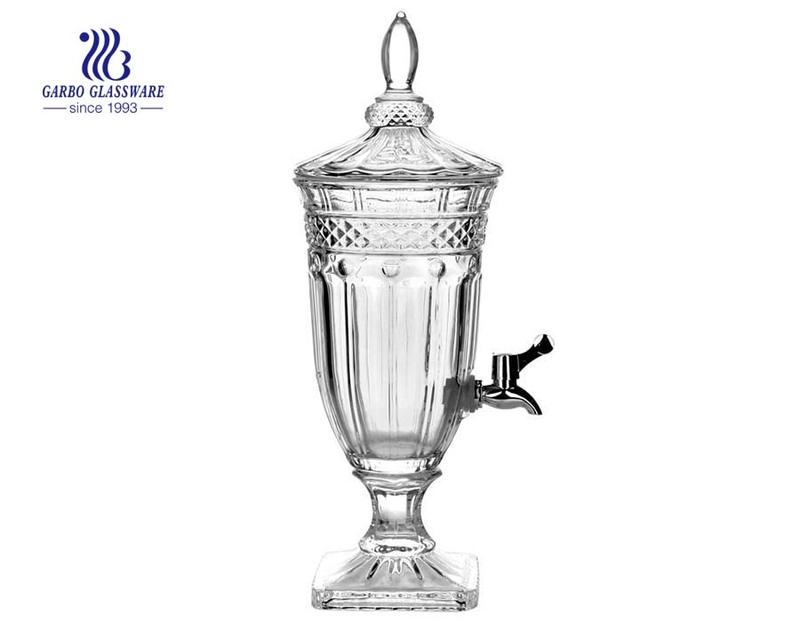 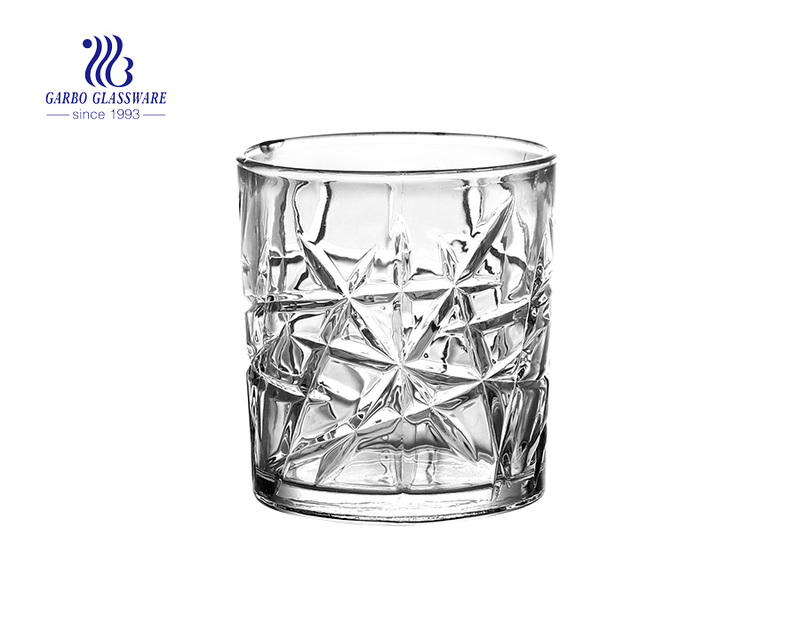 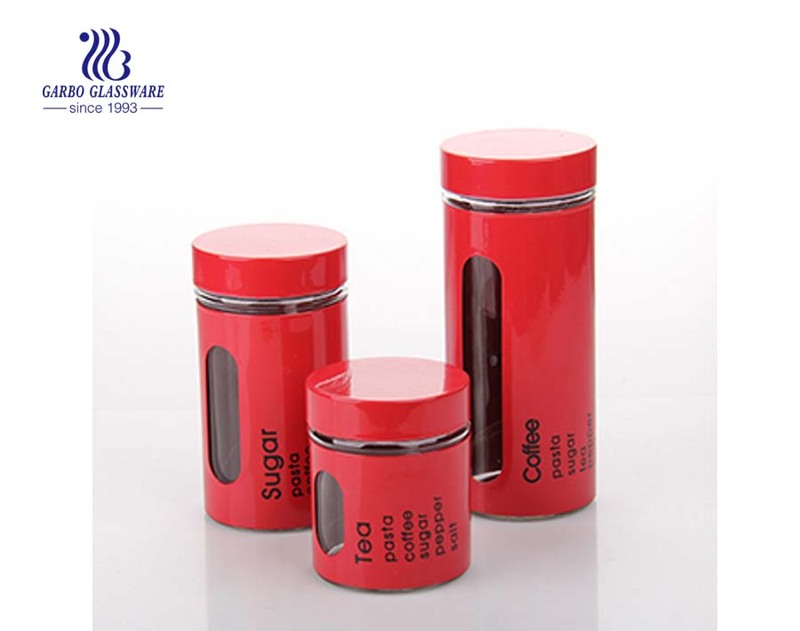 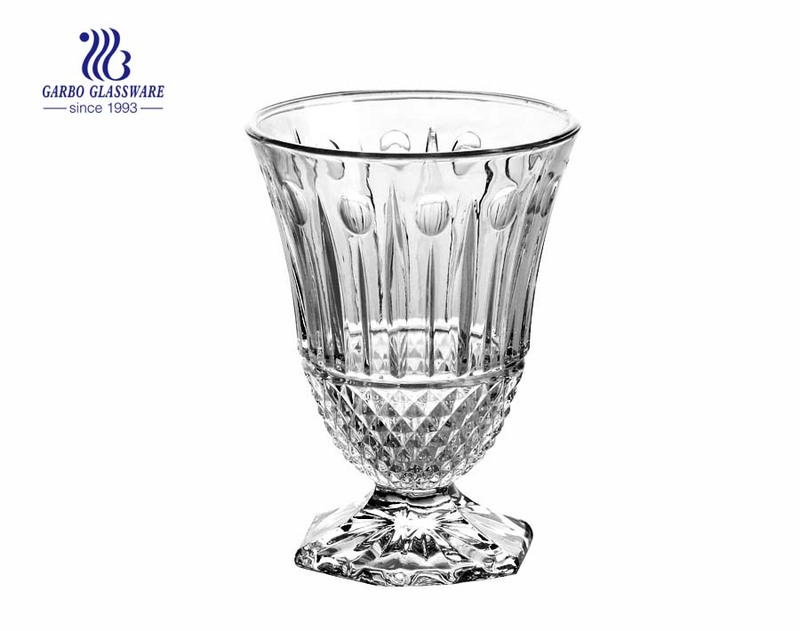 1.This glass food storage jar is made of soda lime glass. 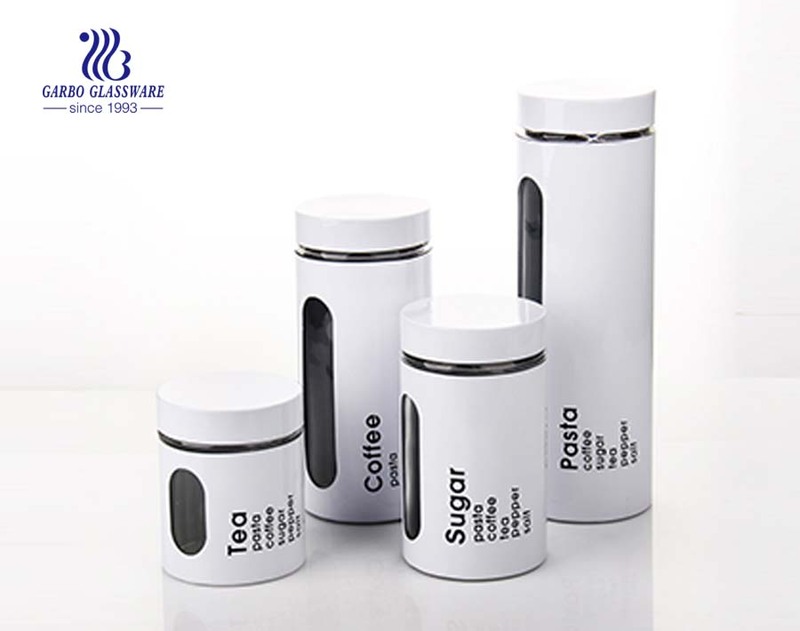 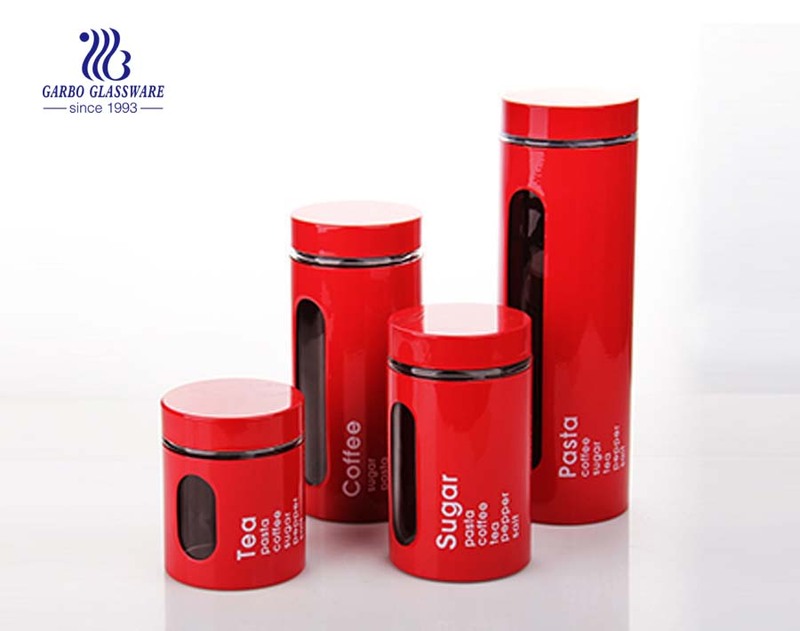 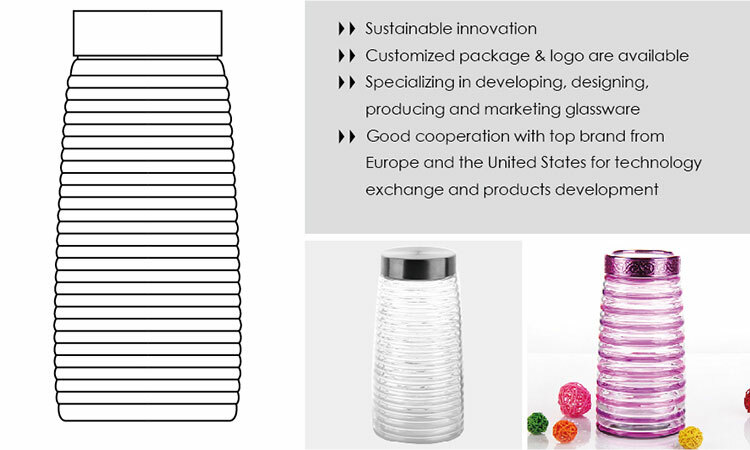 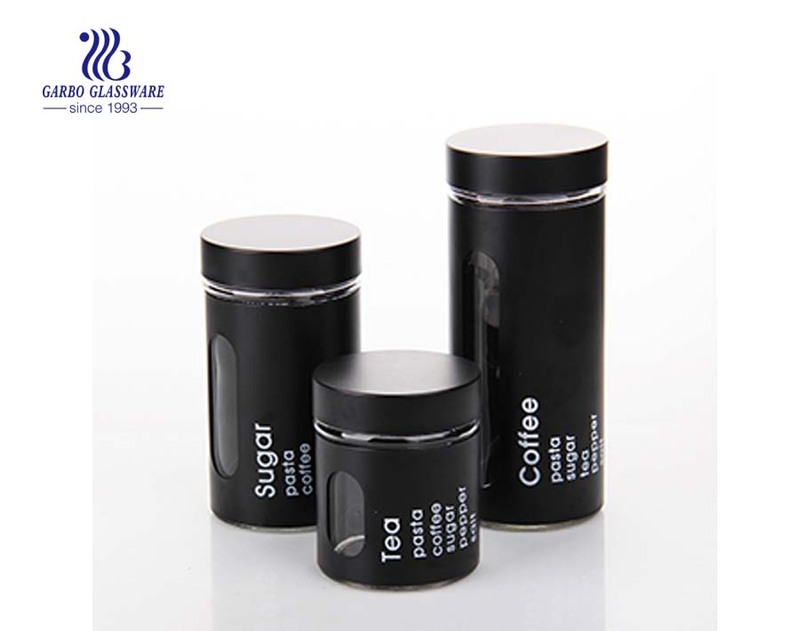 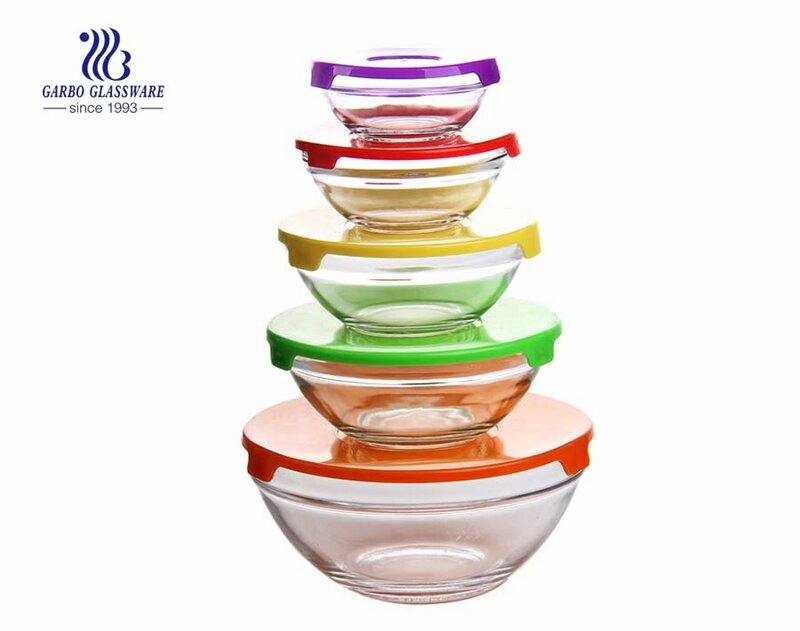 2.This glass food storage jar is food safe and have certificate of SGS ,LFGB ,and FDA , and suitable for house decoration. 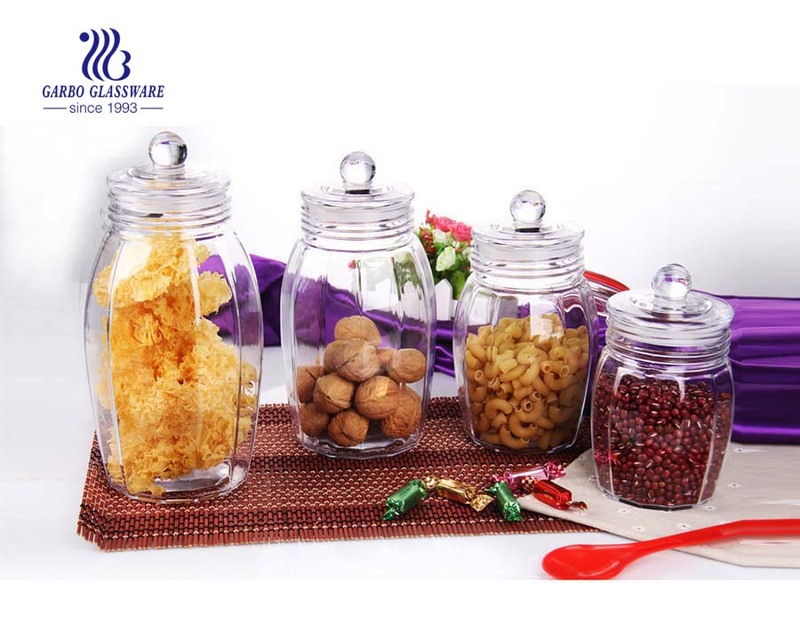 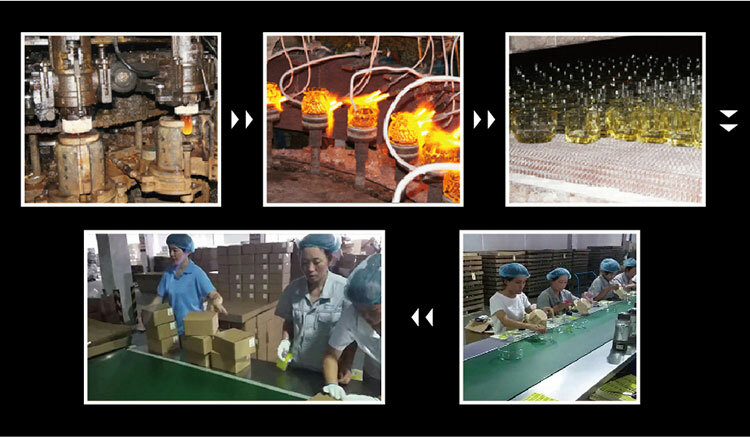 4.For the price glass food storage jar, MOQ of 1000pcs is accessible. 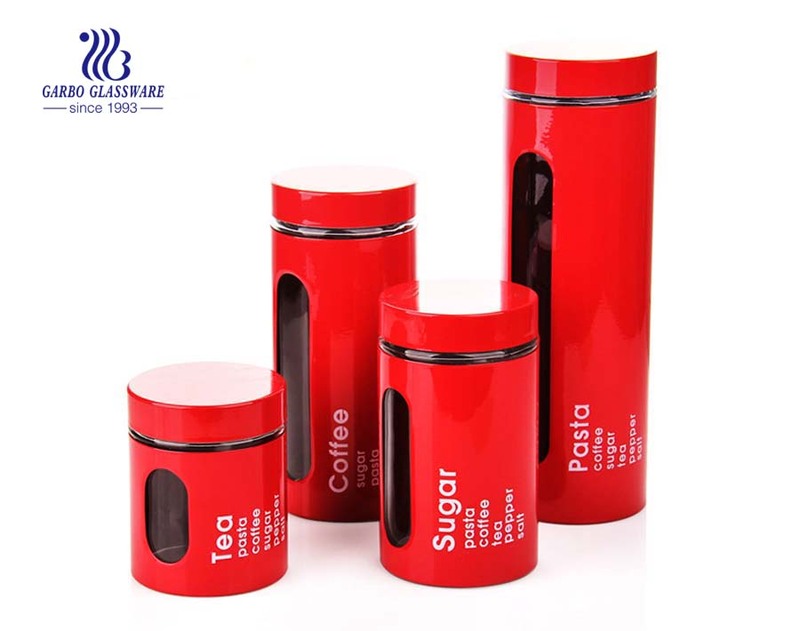 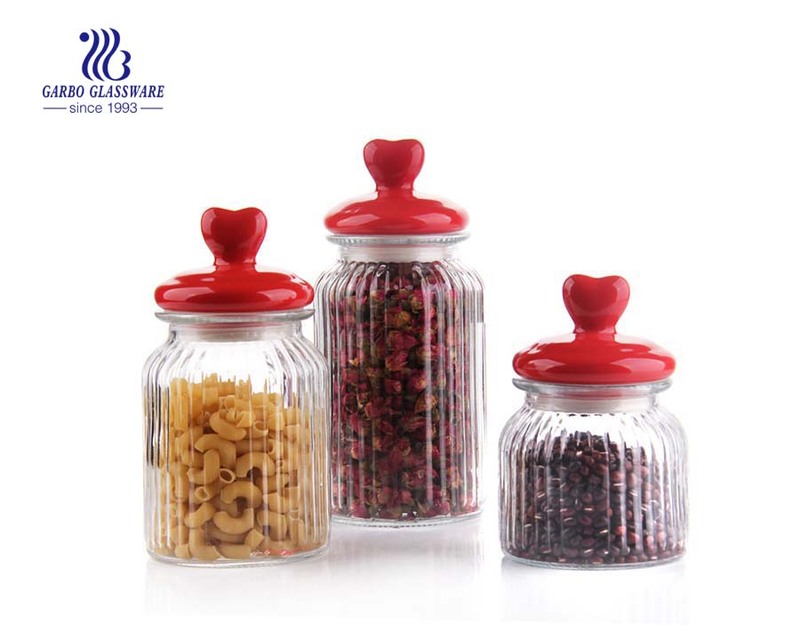 5.For this glass food storage jar, we have different sizes for your choice.